Replacing your dingy, old car floor mats is easy when you shop with us. You will find exactly the Vauxhall floor mat you need using our extensive online catalogue. We have got all sorts of Vauxhall car floor mats to choose from, regardless if you need traditional style or if you are looking for a waterproof rubber ones for a quick and easy clean up. Our huge variety of car floor mats come in many colours, textures and brands, there is no doubt you will find the exact style and size you are after. 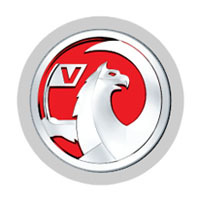 Vauxhall Motors (registered name General Motors UK Limited) is a British automotive manufacturing and Distribution Company which has its headquarters in Luton, Bedfordshire, and is a subsidiary of German Adam Opel AG, which itself is a wholly owned subsidiary of American General Motors. The company was founded by Scottish marine engineer Alexander Wilson in 1857, at 90-92 Wandsworth Road in Vauxhall, London. At first, the company was named Alex Wilson and Company and built pumps and marine engines. In 1903 the company moved into the automobile industry by building its first car, which was a five-horsepower single-cylinder model. It had only two forward gears and was without a reverse gear. The company currently sells passenger cars and light commercial vehicles and used to sell trucks and buses also. For two decades, Vauxhall has been the second highest selling car brand in the United Kingdom. One of their most famous special edition cars was the Vauxhall Nova Sport which was specially designed for rallying. It's 1.3ltr engine and twin carbs made them very popular, and even though they are not produced today, second-hand models are still highly sought after. Vauxhall sells high-performance versions of some of its models under the VXR name.